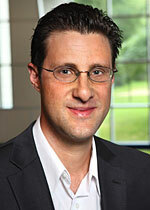 Professor Grégoire holds a PhD in Marketing from the University of Western Ontario (Ivey) and an MSc from HEC Montréal. He joined the School in 2010. From 2004 to 2010, he taught at Washington State University (WSU), first as an assistant and then an associate professor. He published several papers in major academic journals including: Journal of Marketing, Journal of Consumer Psychology and Journal of the Academy of Marketing Science. Professor Grégoire typically teaches courses with a strong managerial orientation, such as service marketing and relationship management on social media at various levels (BBA, MSc, MBA, PhD, officer and Executive Education). He has earned numerous awards for the quality of his teaching at Ivey, WSU and HEC Montréal. He has published extensively on the issues of customer revenge and online public complaining. He also actively researches other managerial issues such as ingredient branding, open innovation, and salesperson proactive behaviors.